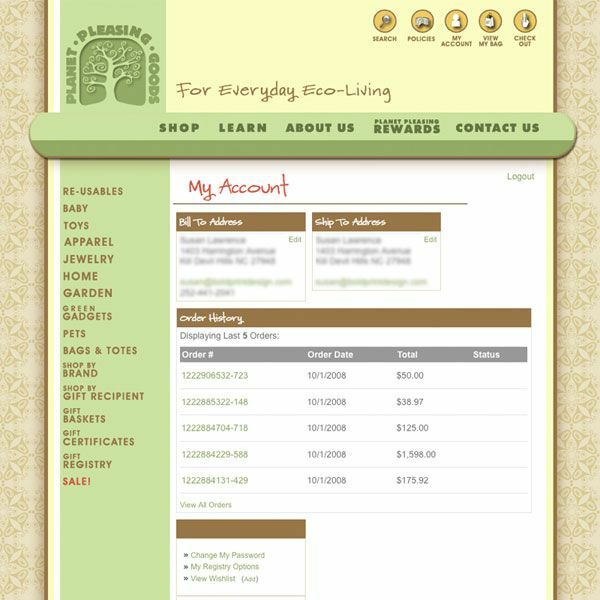 From your account you can see your past order history, wishlists, registry and more. 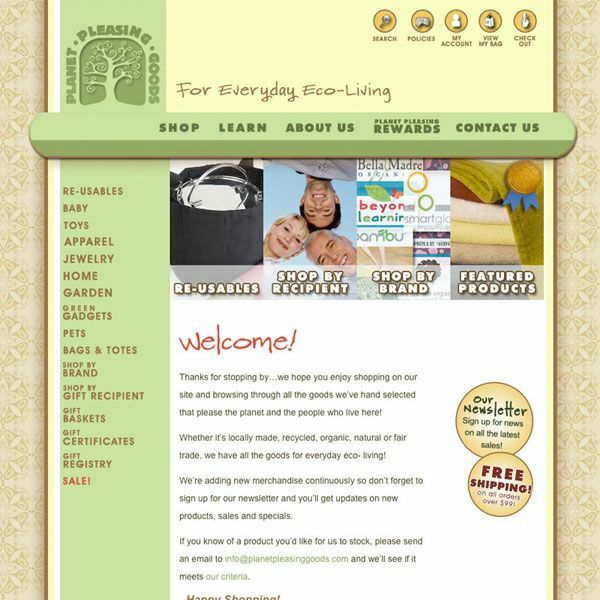 Pro level stores can offer Reward or Customer Loyalty Points which can be redeemed for gift certificates. 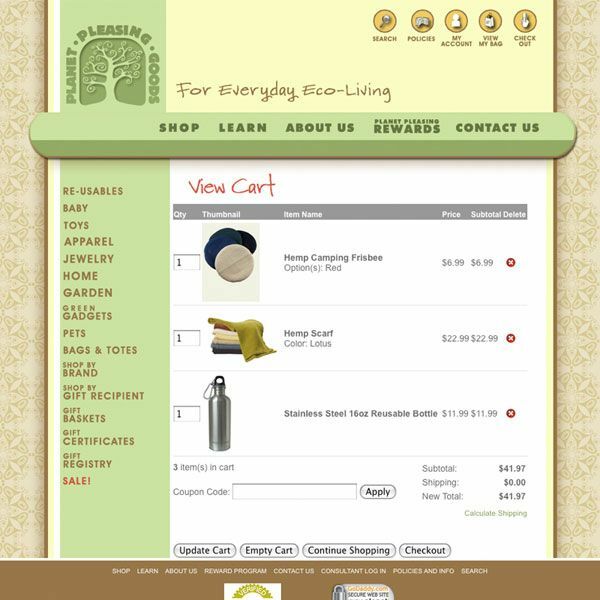 Store overview showing all product categories. 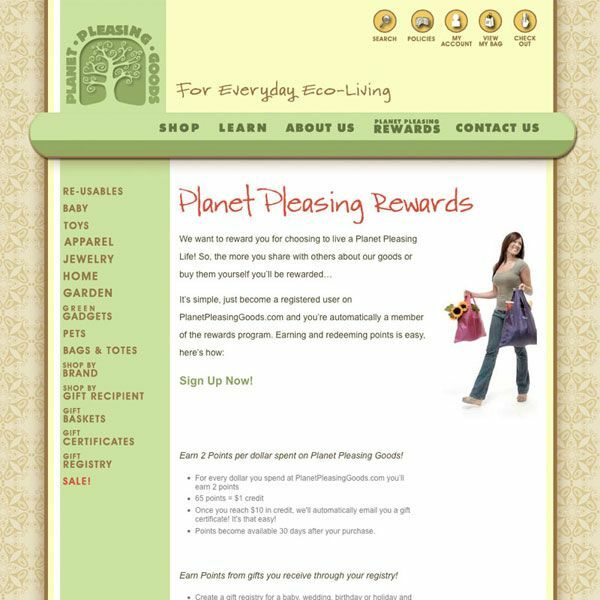 Planet Pleasing Goods is an e-commerce retailer of environmentally friendly and socially responsible goods. An important aspect of the store is the ability for selected partners to be able to sign in to receive discounted prices and login to their accounts where they can keep track of their orders. 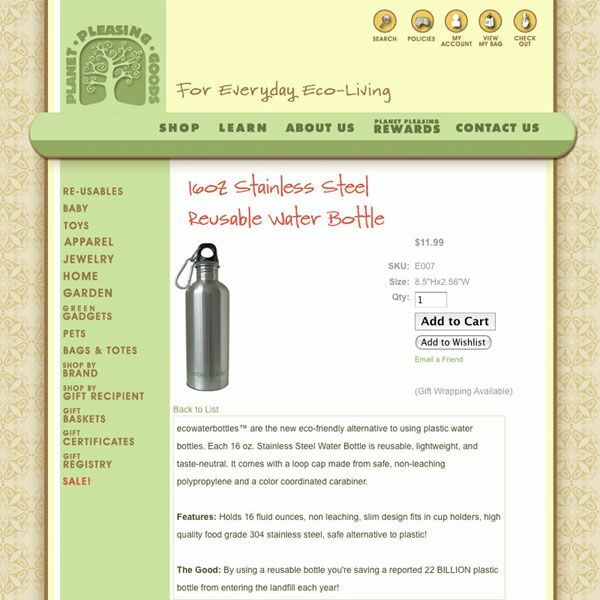 For the shopper the site offers a clean and simple interface to easily browse for and find what you are looking for. 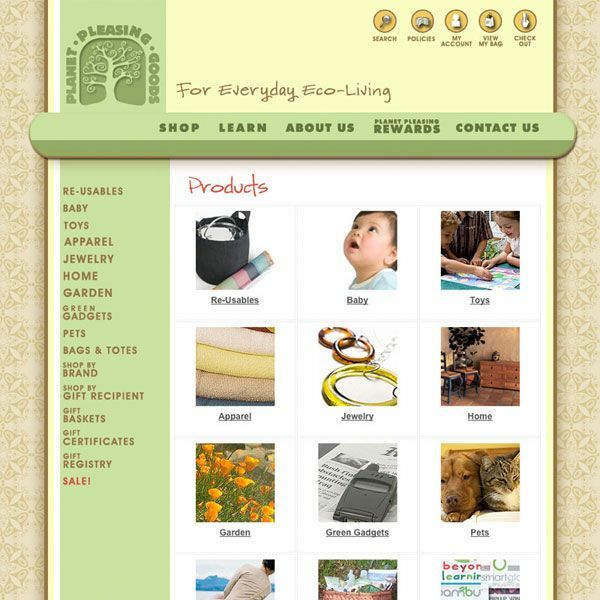 The standard store functions such as shopping cart, wish lists, email a friend, etc., are available along with advanced store features such as Gift Registries and Reward / Incentive Points Programs. 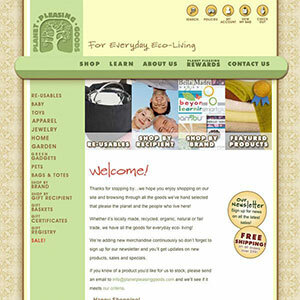 Additionally, PPG has recently implemented a Content Management System to the site, allowing Ivy, the site owner and environmental guru, to post articles of relevance to the store to an online blog, as well as post news and announcements, and make regular updates to the site on her own, with no HTML knowledge required. The site has developed quite a following!